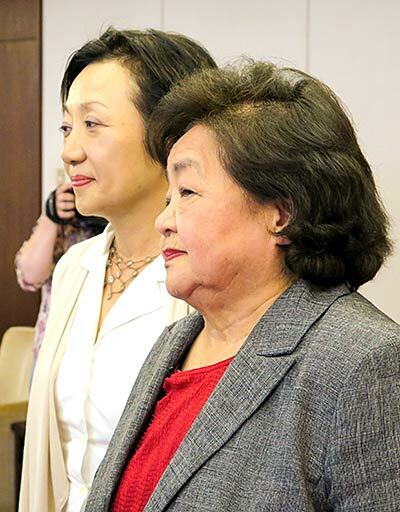 Setsuko Thurlow has been appointed by the Government of Japan as a special communicator for a world without nuclear weapons. She was born and raised in Hiroshima and experienced the atomic bombing at the age of 13. She remembers vividly the 6th of August 1945, the day the atomic bomb was dropped on Hiroshima, and the hardships she and many survivors endured physically and mentally thereafter. Subsequent to the atomic bombing, she started attending a local Christian church in Hiroshima in the hope of finding meaning in her life. Professionally, she practiced social work in the USA and Canada. 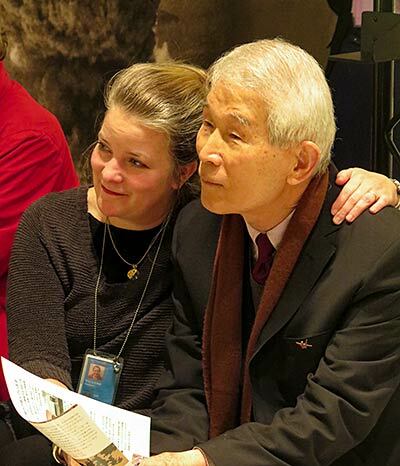 As a survivor of the atomic bombing, she is strongly committed to tell the story of Hiroshima. Most survivors are getting old and many are passing away, leaving a smaller number of Hibakusha (atomic bomb survivors) to tell their stories. Ms. Thurlow feels it is imperative to tell the younger generations of that terrible day and its aftermath. This is one of the reasons why she joined a non-governmental organization called “Hibakusha Stories” which passes the legacy of the atomic bombings of Hiroshima and Nagasaki to a new generation, and empowers them with tools to build a world free of nuclear weapons. She is married with two sons and two granddaughters and currently lives in Canada. She has devoted over 40 years of her life to nuclear disarmament. Kathleen Sullivan, PhD., is a disarmament educator and activist who has been engaged in nuclear issues for over 20 years. Currently, she is the Program Director for Hibakusha Stories, an arts based initiative that brings atomic bomb survivors into New York City High Schools to share their testimonies. She has been an education consultant to the United Nations Office for Disarmament Affairs in New York, and has produced 2 films about survivors from Nagasaki: The Last Atomic Bomb (2005) and The Ultimate Wish. At the height of the Cold War, an announcement was made that the UK would host American nuclear missiles. One of the anti-war marches that followed ended at the airbase at Greenham Common in Berkshire and a permanent camp of nuclear protestors was established. The Greenham Common Women’s Peace Camp endured for nearly 20 years. Helen John, who took part in the march and founded the camp in September 1981, speaks to Witness. Six years ago, Ari Beser, a photographer from Baltimore, received a grant to visit the city of Hiroshima for the first time. He wanted to trace the path his grandfather had once taken. Jacob Beser, who died in 1992, flew over Japan as a member of the Army Air Force during World War II. Harry S. Truman is remembered for one thing: his decision to drop nuclear bombs on Hiroshima and Nagasaki in Japan, in August 1945. His eldest grandson, Clifton Truman Daniel, is now an advocate against nuclear weapons. Hiroshima was the Japanese city that was first targeted by a nuclear weapon in August 1945. An estimated 80,000 people died. Setsuko Thurlow was a schoolgirl in Hiroshima at the time and recalls her memories of the event. On NPR’s Fresh Air, author Karen Iversen speaks about her book, Full Body Burden: Growing up in the Nuclear Shadow of Rocky Flats. Her book is part a memoir about her troubled family, and also an investigation into the decades-long environmental scandal involving nuclear contamination in and around Rocky Flats. Weapons production ended there after FBI agents raided the plant in 1989. Its operators later pleaded guilty to criminal violations of environmental law.